When I told my uncle that I was going to be writing about the Tampa Bay Lightning online, he was ecstatic. Not as much about the writing part, but more so the Lightning. 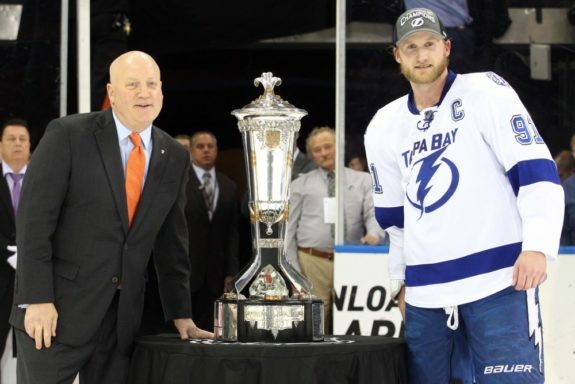 Even though I knew Tampa had a loaded team under GM Steve Yzerman, I was pretty confused. My uncle is a lifelong Bruins fan, like myself, so the Lightning just seemed like a random team for him to be so enamored with. He talked about their owner and how great he is. Sure, I thought, sounds great. I didn’t think too much of it. Any time a team tries to move to a new city or build a new stadium they make claims about “revitalizing downtown.” They promise economic development in exchange for the millions it costs to build stadiums these days — makes sense. You get more people coming and spending their money, you get more economic growth. Of course to spend money, there needs to be shops and restaurants nearby, which is what Vinik is currently trying to do. Back in 2014, he announced his plan to finally finish, the currently incomplete, downtown Tampa. The Tampa Bay Lighting owner on Wednesday rolled out his long-awaited $1 billion “vision plan” to build nearly 3 million square feet of development along the city’s waterfront. “What we’re doing is completing the plan city planners dreamed up long ago,” Vinik told an approving throng of VIPs who gathered at his Tampa Marriott Waterside Hotel & Marina for the glitzy unveiling. This project shows two things about Vinik, that he cares about Tampa and that understands the modern fan. The reason it shows he cares is purely due to the price tag of this endeavor. While the project was originally reported at around $1 billion dollars, a more recent Forbes article has the whole thing pegged at $3 billion. Not exactly a small sum. It’s also important to note how this dedication to the area builds trust and support with the same locals Vinik is trying to attract as Lightning fans. That first part is pretty easy to understand. It’s the idea of the modern fan that’s more abstract. Today, less and less people will attend a hockey, football or baseball game purely for the game itself. The modern fan requires more incentive to spend their money because they could easily just watch the game at home. That incentive comes by creating more of an experience. It’s exactly why Nashville has flourished. 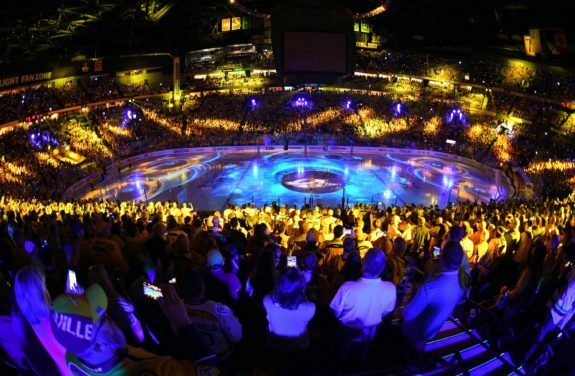 Going to a game at Bridgestone Arena is unlike anything else in the NHL. Obviously there’s the fans, but there’s also the surrounding area. By adding a great nightlife in addition to the guys chasing a puck around a sheet of ice you get a great product. That’s what has kept attendance fairly regular over the past six years despite varying amounts of success. The “vision plan” also calls for more residential properties downtown, a new medical campus for USF and more hotels on top of the “high energy” development next to Amalie. All these should help to create that Nashville experience which is essential if Vinik wants fans to get off their couch and spend their disposable income. Right now they’re already on their way. After all my uncle did rave about one Irish bar right across from Amalie Arena. If they can keep creating places like that, you can expect to see the Vinik become an even richer man.